What is General Convention? 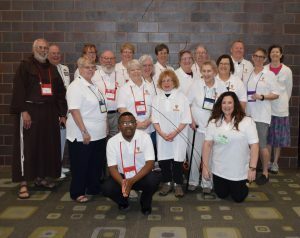 General Convention is the highest governing body of The Episcopal Church, meeting every three years and made up of the Church’s bishops and elected lay and ordained deputies from each diocese. The 79th General Convention will be held at Austin Convention Center in Downtown Austin, Texas, from July 3 to 14. The Episcopal Church Women (ECW) Triennial meeting convenes in the same location from July 5 to 11. Where can I find the General Convention schedules? General Convention Calendar ECW Calendar ECW Triennial Meeting Calendar Draft GC Schedule A special service to address sexual harassment, abuse and exploitation in the Church will be hosted by the House of Bishops on July 4 from 5:15-7:00 p.m. The service will be live streamed for those who want to join. It will be a service of Listening, Lament and Hope as we hear the stories of people who have suffered in the Church and work towards healing and transformation. The title of the Service is “Out of the Depths, Let our Cries Come to You.” You can participate from Pennsylvania! Watch the live stream of General Convention here. Follow Diocpa’s updates on this webpage. 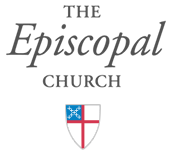 Follow the Episcopal Church in Central PA on Facebook for information and updates from our General Convention Deputation. Download the Get the Eventmobi App for the 79th General Convention, code: 79gc. There are two ways to get the app: Go to https://eventmobi.com/79gc to open the app as a website on any device or download the Eventmobi app, and enter the event code: 79gc. Charles (Chuck) Banks, Constitution and Canons Committee. The Rev. Canon Stephen Casey, Constitution and Canons Committee. Linda Watkins, Province III Social Justice Representative. Governance (interim bodies strategy, Program, Budget and Finance resolutions on funding, Constitution and Canons, Title IV-Safeguard, Church Pension Fund, stewardship).